Iron Man Game official Program. 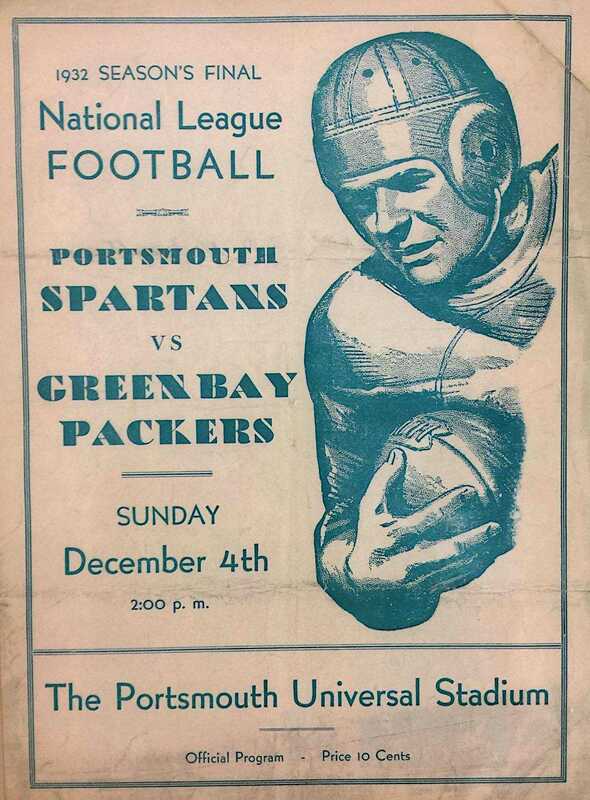 Official Program from the 1932 Iron Man Game, “Price 10 Cents.” Scheduled for December 4th in Portsmouth Universal Stadium, the game pitted the Green Bay Packers (reigning NFL champions) against the Portsmouth Spartans. Before a crowd of 13,000 or more fans, the Spartan starting line-up played the full 60-minutes, without substitutions, and defeated the Packers 19-to-0. The victory knocked the Packers off their throne and paved the way for the Spartans and Chicago Bears to play the first ever post-season NFL Championship game, later that same December.